This got me to thinking how many people actually know what’s going on in our industry. With all the misleading information and blown up headlines filling the news regarding the future of the stove industry, it is becoming increasingly confusing for customers to separate the facts from fiction. By putting it as simply as I can, I may be able to make it a little easier to understand whilst minimizing the jargon that serves to confuse more often than not. Are wood burning stoves getting banned? No! However, in a bid to further reduce the impact Stove’s have on our environment, the bodies that govern our industry (DEFRA, S.I.A, HETAS, OFTEC) have introduced stricter guidelines concerning efficiency levels and particulate matter by which a multitude of appliances manufactured after 1st January 2022, and sold in the UK & Ireland, must adhere. These will be known as Eco Design 2022 Ready. 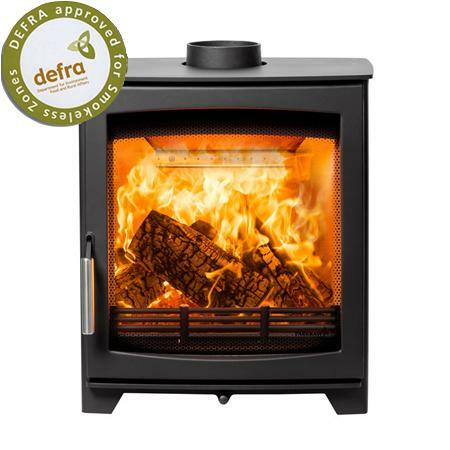 Assuming you are a responsible stove owner with a HETAS / OFTEC certificate and using only fully-seasoned approved fuels, you will not be affected by the new regulations as it will only concern stoves manufactured (and subsequently, purchased) after 1st January 2022. What can be better than making a difference now and start personally contributing to a proposed reduction in UK carbon emissions by two million tonnes per year? By purchasing an Eco Design Ready stove, you unlock the full potential of a modern, highly-efficient wood burner which could slash your particulate emissions by up to 84% vs your existing stove, cut fuel costs and reduce your carbon footprint on the planet whilst continuing to enjoy all the benefits you love from your wood burning stove. As a BFCMA (British Flue & Chimney Manufacturers Association) member we fully embrace the Eco Design 2022 Ready initiative. Ignoring the blown up and false headlines that all stoves are to be banned; the new limits on emissions will help us all to continue enjoying the back to basics tradition of solid fuel heating appliances, responsibly.